These days there are so many awards shows on TV it makes your head spin. There are awards for this, that, and whatever. Celebrities from all walks of life dressed up to see and be seen. The most recent (as I write this) was the ACM (Academy of COUNTRY Music) awards show. I heard they gave a very stirring tribute to ROCK music. I wouldn't know I gave up watching years ago. My ears can't suffer through three hours of loud rock or rap or whatever mish-mash that stuff they call "country" music these days just to hear a couple of songs from real country singers. Record companies have so many ways to promote artists now with social media and pre-sales. It is nothing for a "project" ( for the sake of all my older readers I will continue to call them records) to be released at Platinum (one million copies) level. In the early days of recording and into the late 1950s it was a very big deal for a singer to move 500,000 copies of their record. How very much they wanted that shiny GOLD record for their wall! Gold records were given to the artists by their own record companies to publicize their sales achievements. Later the awards were presented by the Recording Industry Association of American (RIAA) like they still are today. More facts and figures would get you into quicksand so let me tell you about the very first COUNTRY music SUPERSTAR! Marion Try (called Try) Slaughter II was born in Jefferson, Texas on April 6, 1883. His father Robert Slaughter was a rancher. His grandfather was a Ku Klux Klan member and a well-know bully. He learned to ride, shoot, and play the harmonica at an early age. When he was ten, his father was killed by his mother's brother because of a bitter feud over the way Robert mistreated his wife. A couple of years later, Try and his mother moved to Dallas where he studied at the Dallas Conservatory of Music and worked to support himself and his mother. 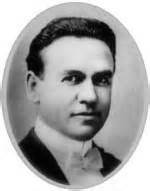 He married Sadie Lee Moore in 1902. They soon had a son and a daughter. The family moved to New York City in 1910. Try worked in a piano warehouse and took occasional singing jobs. He made an attempt to record for Edison Records but was rejected. When he got his first principle part in an opera touring company he needed a name that would look good on the program. He took the names of two Texas towns where he had worked as a cowboy. That's how he became the person we know as VERNON DALHART. He toured all over the US and Canada singing in English, French, or Italian as the opera required. He left the Century Opera Company to play in the Hippodrome's version of H.M.S. Pinafore. This was his most outstanding stage success. He soon made another attempt to record but it was shelved and forgotten. When his opera tour ended in January 1915, Vernon again tested for Edison and was rejected but his name did appear in the EDISON DIAMOND DISC CATALOG. His first record finally came out in December of 1916 on Columbia not Edison. From 1916 until 1923, he made over 400 recordings of light classical music and early dance band vocals for several different record labels. In 1924, he heard a recording of THE WRECK OF THE SOUTHERN OLD 97 a ballad about the derailment of fast mail train No. 97 near Danville, Virginia in 1903. He talked the Edison company into letting him record it. In August of that year, Victor records asked him to record that song for Victor and put an old folk song he had gotten from his cousin on the reverse side. The B- side of that record was THE PRISONER'S SONG. That song was the number one song for twelve weeks in 1925-26. It became such a runaway hit, that Vernon decided to sing country songs almost exclusively. He recorded that song 18 times and it was issued on 53 labels in the US and also in Canada. That record (78) went on to sell SEVEN million copies which was a HUGE number for the 1920s! This was the first "southern" song to become a national hit. It also alerted the record companies to the market that was available for country music and caused them to seek out other country artists like Jimmie Rodgers and the Carter Family. Sadly, the stock market crashed in 1929 and Edison Records went out of business. Many singers tried to make a living by doing personal appearances. Vernon Dalhart did no personal appearances but within two years he had a radio show with a female singing partner Adelyne Hood. After two months they left the show and headed for England. They made eight recordings there with four being released. One song THE RUNAWAY TRAIN later became the theme for a British radio show and was popular enough to be re-released in the 1940s. When they came back to the states they made a few more recordings but no big hits for the duo. Vernon signed an exclusive contract with RCA-Victor in 1938. The records didn't sell well and one THE LAVENDER COWBOY ( a song about a cowboy with two chest hairs indicating he wasn't "manly") was barred from the airwaves. When war came he worked a security job in Bridgeport, Connecticut. After the war, he tried teaching, singing and voice placing without much luck. Vernon Dalhart died of a heart attack on September 15, 1948 without achieving his former success. He is buried in Bridgeport's Mountain Grove Cemetery as TRY SLAUGHTER, SR APRIL 6, 1883 - SEPTEMBER 15, 1948. THE PRISONER'S SONG was awarded a gold disc by the RIAA for selling seven million copies. (The first COUNTRY song to qualify) Vernon Dalhart was inducted into the Nashville Songwriter's Hall of Fame in 1970. In 1981, he was finally inducted into the Country Music Hall of Fame. THE PRISONER'S SONG was placed in the Grammy Hall of Fame in 1998. It was the biggest selling non-holiday song for the first 70 years of recorded music. Vernon Dalhart has been largely overlooked for his role as an early pioneer who paved the way for other "southern" recording artists. He was indeed the the FIRST COUNTRY MUSIC SUPERSTAR!